The mother of a Birmingham schoolgirl who was knocked down by a lorry has launched a summer campaign to improve safety at the scene of the tragedy. The mother of a Birmingham schoolgirl who died after being knocked down by a lorry has launched a summer campaign to improve safety at the scene of the tragedy. Hope Fennell, who attended Queensbridge School, in Moseley, was just 13 when she died trying to cross Kings Heath High Street on her bike last November. 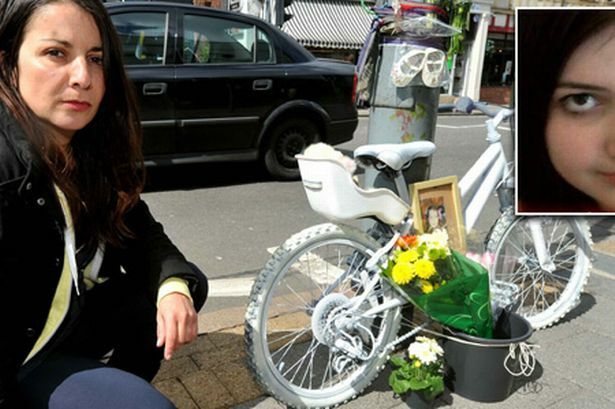 Now her mum Nazan is launching a campaign in her memory to improve safety – and councillors are setting up a summit to deal with road safety, parking problems and congestion in Kings Heath. “I believe I have lost my child because safety was not taken as seriously as it should be,” said Mrs Fennell. “We are launching the Live In Hope campaign this summer with a petition and a rally, which could be held in September. The family are still awaiting a decision from the Crown Prosecution Service over whether the lorry driver will be charged with causing death by dangerous driving. Nazan said four pedestrians had died in four years on the busy road and a risk assessment of the road she organised with safety campaign group RoSPA concluded that considerable improvements could be made. The road safety campaign has been backed by councillors and the Kings Heath Neighbourhood Forum. A road safety summit this summer will look at the whole of Kings Heath and issues around traffic. She said councillors would urge satellite navigation manufacturers firms to stop guiding HGVs down the narrow High Street, and consider 20mph zones to control rat-running in side roads. “At the moment it is chaos, we have people, some with pushchairs, weaving in and out between buses and HGVs. It is not speed but the fact that people can’t see what’s going on,” Coun Trickett added.